Land Rover has today announced a limited-edition high-performance version of the iconic Defender, with a V8 powertrain fitted to 150 specially-selected and re-engineered Defenders to celebrate the marque’s 70th anniversary in 2018. 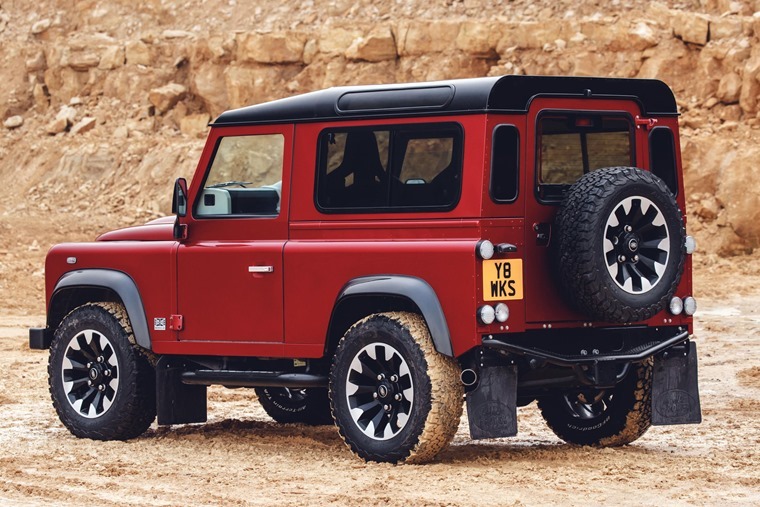 The Defender Works V8 pays homage to the early high-powered engines in both the Series III Stage 1 V8 from 1979 and subsequent Defenders including the 50th Anniversary Edition, which are still highly sought after by enthusiasts and collectors. The limited-edition Defender Works V8 comes with a 5.0-litre naturally-aspirated petrol V8 powertrain – the first official V8-powered Land Rover Defender to be introduced since 1998 – producing 405PS and 515 Nm of torque, and will accelerate from 0-60mph in 5.6sec with a top speed of 106mph. 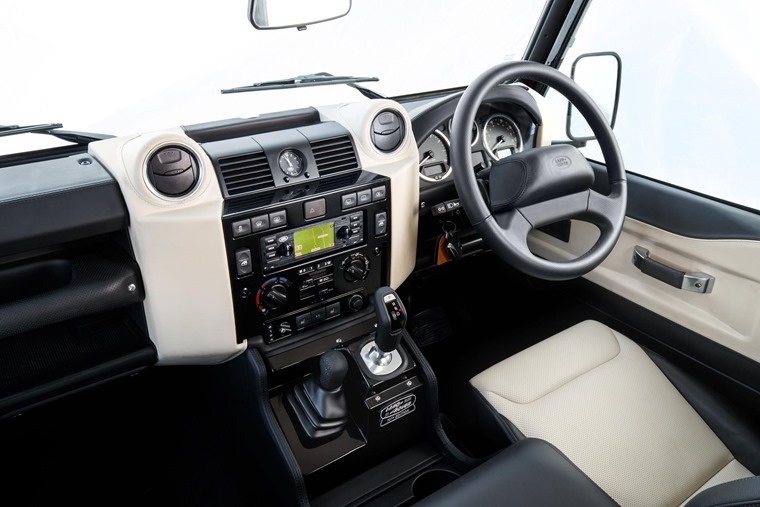 For comparisons sake, the standard Defender delivered 122PS and 360 Nm. The 70th anniversary model will be complemented by an eight-speed ZF automatic transmission with sport mode, uprated brakes, and handling kit including springs, dampers and anti-roll bars, plus exclusive 18-inch diamond-turned Sawtooth alloy wheels and 265/65 R18 all-terrain tyres. Full Windsor Leather interior trim covers the dashboard, door panels and Recaro sports seats. Land Rover Classic’s own Classic Infotainment System is also fitted. 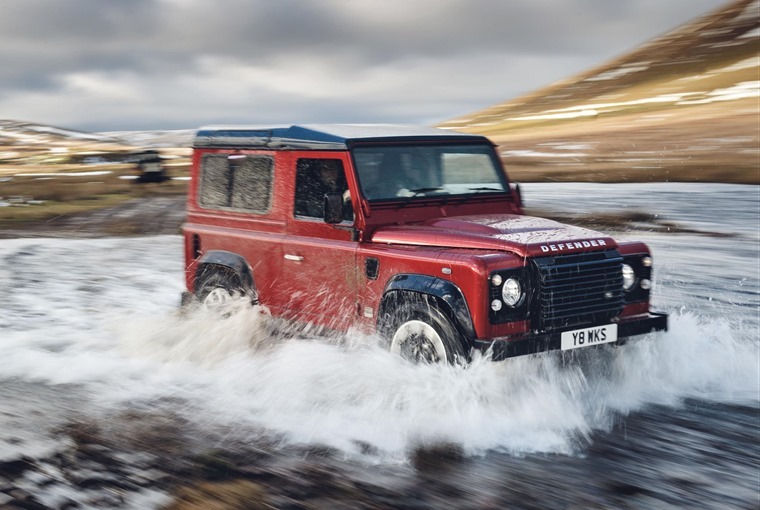 Both 90 and 110 wheelbase Defender Works V8 derivatives will be available to purchase direct from Land Rover Classic, with prices starting from an eye-watering £150,000 for a 90 in the UK. 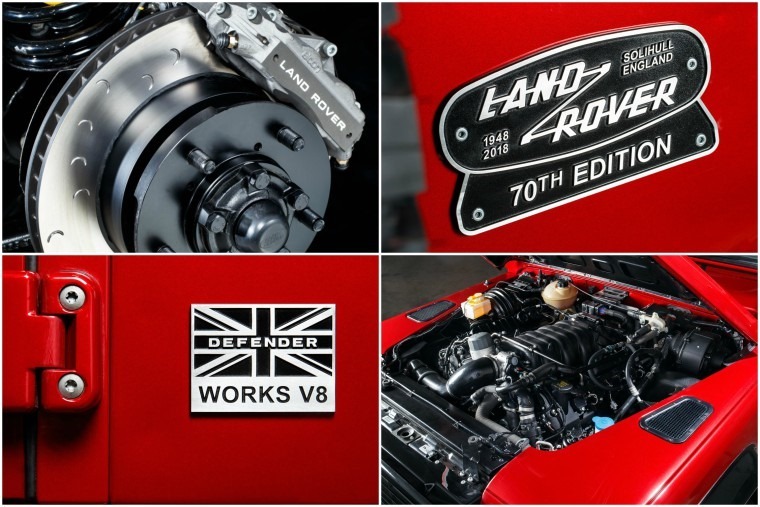 A select number of high-performance upgrades will also be available to purchase soon from Land Rover Classic, including power upgrades for the TDCi diesel engine, fast-road suspension and braking kits. Commenting on the launch, Tim Hannig, Jaguar Land Rover Classic director, said: “It’s fitting that we’ve been able to release the full potential of the iconic Defender, whose much-loved shape remains synonymous with Land Rover, 70 years since it was seen in public for the first time.